Michael McFadyen's Scuba Diving - Black Rock On my trip to South West Rocks over the June Long Weekend in 1996, we decide to do our last dive of the weekend at Black Rock, a small "island" of two rocks located further south and closer to shore. Trevor anchors in close to the island in the gully that separates the two parts. After a good break, during which we constantly talk about the first dive, we enter the water to find even more fish than we have seen at Fish Rock. Yellowtail, seapike, silver sweep, pomfret, nannygais, bullseyes abound and dozens of moon wrasse, blue gropers and combfish follow us as we head deeper. We reach the sand at almost 20 metres and see a turtle and a couple of small rays. We backtrack to the boat and see quite a few kingfish, silver drummer and luderick. The fish are so dense that we get separated for a few minutes before relocating each other. We swim into the shallows between the two parts of the island and go over to the other side. There are more fish here and despite the surge, we have no trouble getting through. We return to the boat and spend our safety stop on the ridge, watching the drummer and kingfish swim past. As we head back into South West Rocks we discuss our weekend's diving. Everyone agrees that the dives are some of the best we have ever done anywhere, including overseas. The water clarity, the temperature, the calm seas as well as the spectacular fishlife and terrain have made these series of dives ones we will remember for a long time. The first timers at South West Rocks really have had a brilliant introduction to this fantastic NSW dive site. Just goes to show what I have always said, the diving in NSW is second to none in the world. As usual, we dived with South West Rocks Dive Centre and can only praise their service. 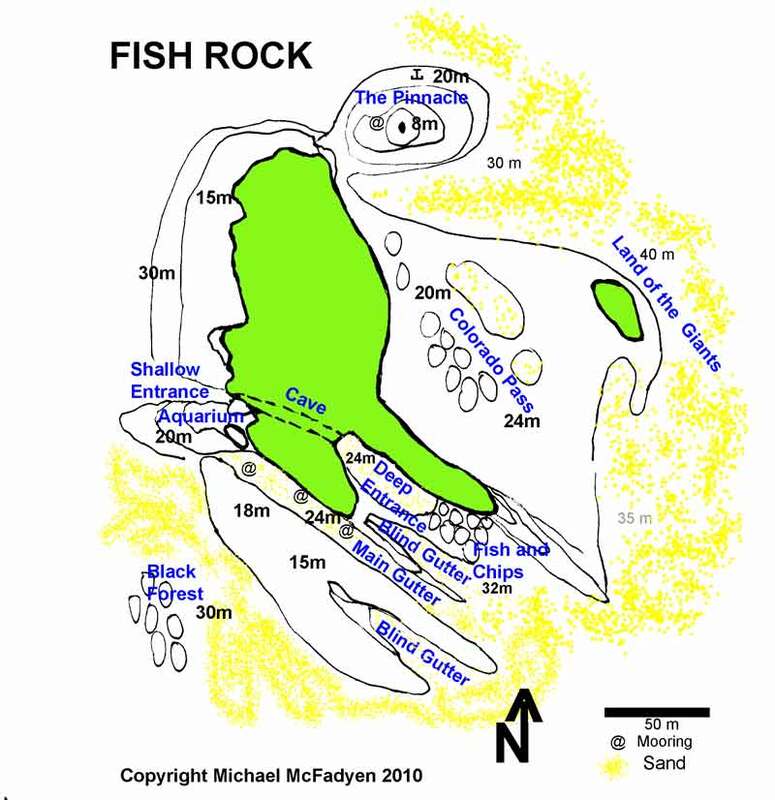 If you decide to dive Fish Rock and the cave, I can recommend the services South West Rocks Dive Centre (02 5666 6474).